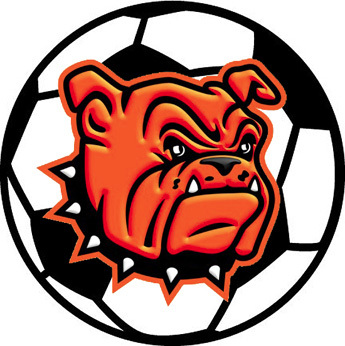 It wasn’t so much a lopsided division of talent that hindered the Lady Bulldog soccer team Tuesday in a 7-1 road loss to Clovis. It was more a division of confidence. Down 3-0 at the break, the Lady ‘Dogs came out strong in the second half, earning a penalty kick midway through. But when that effort was blocked, the youthful tendency to deflate rather than get motivated set in, and from there, the rout was on. The Lady Bulldog varsity roster features 13 girls in grade 10 or below, half of whom have starting spots. And when the chips are down, the squad’s lack of veteran guidance often shows. The Lady Bulldogs were at a bit of a disadvantage to start Tuesday, as the game took place at Yucca Middle School in Clovis, where conditions were not ideal. The Lady Wildcats came out physical in the contest and were able to essentially overpower Artesia en route to a 3-0 halftime lead. Trentham and his staff made some adjustments at the break, however, and they served the team well as the second half commenced. “For like the first 15 or 20 minutes of the second half, things were going really, really well,” he said. “We had a lot of attacking opportunities, we had the ball on their side of the field a lot more, which alleviated the pressure on our defense. We even got ourselves into a penalty kick situation, but their keeper ended up blocking it. Artesia was able to get one goal in the half, courtesy of freshman Zailor Lopez on a free kick outside the box. Consistency, meanwhile, is what Trentham will be looking for from his squad as they move forward from the frustrating loss. The Lady Bulldogs will get a chance to correct that this weekend when they had into a Class 4A homestand against Chaparral and Santa Teresa. The Lady ‘Dogs will host Chaparral at 4 p.m. Friday at The Mack and Santa Teresa at 11 a.m. Saturday for Senior Day.